Rough idling and stuttering on acceleration are common maladies with older marine engines that have spent lots of hours trolling. Slow speed tends to carbon foul these engines, which makes them run rough and waste fuel. Older (not direct injected) two-stroke outboard motors are the worst offenders. Though four-stroke outboards, inboards and stern drives can sometimes also suffer the malady. The simple solution is to de-carbon the combustion chamber. The quick and easy remedy for restoring a smooth idle comes in an aerosol can. All engine builders market their own brand of internal engine cleaners that work similarly to oven cleaner on a combustion chamber. Start the engine and get it up to its normal operating temperature. Then at fast idle, aim the little, red plastic straw down the throat of the carburetor. Wash the throttle plate with spray. After a few seconds the motor will begin to bog down. Keep squirting until the motor dies. Go have a cup of coffee. Let the chemicals work for about a half an hour. Then re-start the engine. If the engine is hard starting, simply remove the sparkplugs and crank the engine blowing the excess engine cleaner out of the cylinders. Then, once the engine fires, you'll see great billowing clouds of white smoke emanating from the exhaust. This is normal. Soon the air will clear and the engine will run smoothly. As an alternative, instead of fogging the engine through its air intake, consider treating the gasoline with Techron Marine Fuel System Treatment. The formula is an enhanced version of what you would pour into the fuel tank of your family car or tow vehicle. 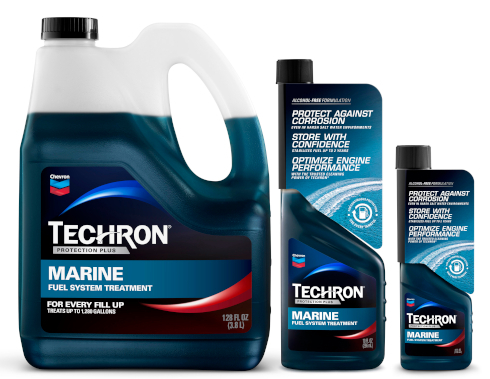 Treating 10 gallons of fuel with one ounce of Techron Marine stabilizes fuel up to 24 months. It cleans fuel injectors, throttle bodies, carburetors and combustion chambers and removes gum and varnish in the fuel system. Point of interest. 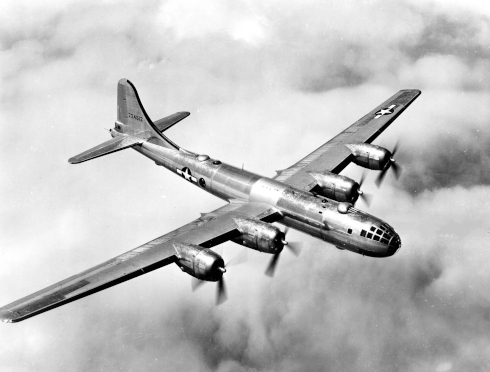 During the Second World War, B-29 bomber crew chiefs, with the engines idling, routinely de-carbonized the big 12- and 18-cylinder radial engines by slowing pouring water into the air intake. The water steamed carbon deposits off piston domes and the valves, thereby improving engine performance. It was easy does it, though, because too much water would fill the combustion chamber leaving the piston with an uncompressible mass. That would result in a bent connecting rod.